Posted By:Unknown | At:7:58 AM Be the first to comment! 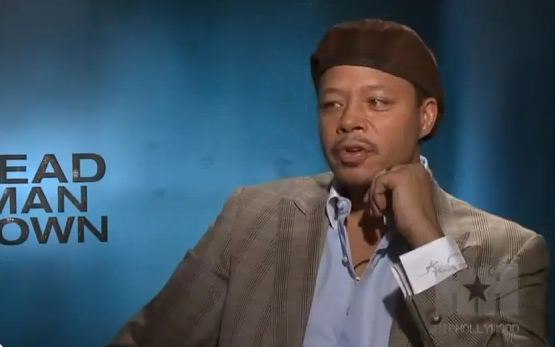 Terrence Howard is still running his mouth about the reasons why he feels his once lustrious career has stalled. First he blamed the producers of Iron Man for replacing him with Don Cheadle and now he's set his sights on Black Media. Howard is basically claiming that Black media and black people attack him for the fact that he married outside of his race. "We have a crab mentality where we try to pull each other down because of choices we've made. Because I chose to marry an Asian woman instead of a Black woman. I think as Black people we have to start helping each other and congratulating each other for being morally strong. And doing the right thing by that. If you dont have something nice to say, then don't say anything at all." Here's what I have to say to that, Mr. Howard needs to understand that these 'crabs in a barrel' are not obligated to spend any of their hard earned money to support his films. Just because you are a black actor doesn't mean I'm obligated to watch or support any film that you are in. I don't give a damn who you marry as long as you are not one of those fools out here talking about the reason you chose your woman is because of all the problems you've had with black women. Now if you are not one of said people then I don't give a damn who you married to. Maybe Mr. Howard needs to take a serious look in the mirror and realize the only person to blame for his stalling career is himself.